There’s a buzz of excitement going around when I first stepped into the newly-furnished IPL Japanese beauty salon named BodySpark at The Central, Clarke Quay. This exclusive boutique salon will also make its mark in Singapore historical book of records with for being the first beauty salon in Singapore to offer Intense Pulsed Light (IPL) bust lifting services. That’s right, everything sounds good when you’re the first in the line. One of the BodySpark’s beauty therapist came to me and said in a chirpy tone, ” You’re our first customer!” Alright, with that, my name is sent to the historical book of records, making me the first-and-ever customer to enter BodySpark @ The Central even before it’s open to the public! 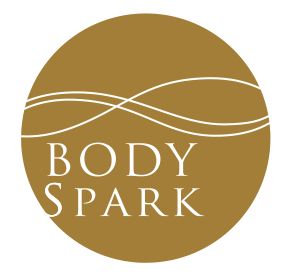 BodySpark will only be officially launching on 18 October 2013 where the members of the public could enjoy its grand opening special promotion (refer to BodySpark website for more details). After a warm welcome from the bevy of ladies at BodySpark, I was ushered in to have a short tour around this gold-embellished beauty parlour that made you feel as if you are walking into an Egyptian pyramid where you are surrounded by all things soaked in gold. In addition to their signature IPL bust lifting services, they also provide facial and hair removal IPL services for women. Instead of trying out their bust lifting IPL treatment, I actually opted to try out their hair removal IPL treatment on my underarm area. A cosy pedicure corner which offers a scenic overlook of the Singapore River. A great view to gaze out at whenever you are here at BodySpark Shine to do your treatments. A simple treatment cubicle at BodySpark would look something like this – a bed lined with brown towels and Body Spark Shine’s IPL machine, which is made in Japan. Interestingly, this IPL machine does not gives off strong harsh light due to the design of the IPL handpiece which blocks off most of the light during the treatment. As such, there isn’t a need to wear the eye protector or shades during the treatment. And I’m really glad that the intensity of the light is reduced during the treatment because I didn’t quite like the harsh flashes that actually send a jolt through my body. Imagine getting shocked several times during the treatment! Instead of using numbing or cold gel, they use ice packs to cool and numb the skin before doing IPL treatment on the targeted area. And I find that using ice packs was a more effective way of preventing burning or heating up of the skin. In fact, the ice pack helps to numb the area under my armpit, so I couldn’t sense much of the heat release by the IPL machine. In the way, the chances of skin burnt are also minimized. The IPL machine uses ‘flash’ hair removal technology that sends intense pulsed light (IPL) or rapid light waves to the targeted skin area. Upon contact, the light weakens the hair follicles and some of the light energy are converted to heat, which destroys the hair follicle cells, rendering hair growth. However, this IPL hair removal is only deemed effective with several subsequent treatments to achieve long-term hair reduction. However, this IPL treatment is not suitable for all. BodySpark advises that customers with sensitive skin, keloid conditions, mucous membranes, cuts on skin, reddened skin and other skin irritations not to undergo hair removal IPL treatment. If unsure, customers should seek advice from doctors before proceeding to do the treatment. Right after any IPL treatments done by BodySpark Shine, customers will be treated to a massage using SUNDÃRI, a high-end skincare products formulated using the purest and rarest ingredients. According to the beautician who did the IPL treatment for me, she said that SUNDÃRI products are used by several Big Hollywood stars! Anyhow, the soothing massage after the IPL treatment was a bonus for me as I was quite tensed up prior the treatment so this was just what I need to ease the tension and melt the stress away. BodySpark Shine used Sundari products which are hailed from US. Automated razor was used to trim off all the hair on my underarm before the IPL treatment. The ice pack was used to lower the skin temperature before directing the light waves into the skin. BodySpark Shine’s signature services would have to be their Bust lifting IPL where results could be observed just within one session! It is a 45-minute treatment where the secretion of female hormones ( estrogen and progesterone) were increased to encourage breast growth and allow better absorption of nutrients to the breast.Valued at SG$480 per session, this bust lifting IPL treatment is one of its kind beauty treatment by BodySpark which pledges to make your body look wonderful.